The widow of a Madoff associate has agreed to give back $7.2 billion in "profits" from the Ponzi master. Allan Dodds Frank on the Picower fortune's origins, and why it's not nearly enough for some of the defrauded. When 67-year-old billionaire investor Jeffry Picower died in the swimming pool of his oceanfront mansion in Palm Beach, Fla. on October 25, 2009, so did the potential criminal case against him. But the civil litigation against Picower raged on until Friday, when Irving Picard, the lawyer appointed as trustee to Bernie Madoff’s seized assets, and U.S. Attorney Preet Bharara announced “a truly staggering” $7.2 billion settlement with Picower’s estate. Bharara said it amounted to ”every last dollar of the Picowers’ profit from Madoff’s epic fraud” and is the largest single forfeiture in U.S. history. For the 2,300 Madoff victims whose claims already have been approved by the trustee, the settlement more than doubles the amount of money available for distribution to them—perhaps as early as January of 2011. It means they could recover more than 50 cents on the dollar, Picard said. Picower—an “investor” with Bernie Madoff for 35 years—was one of the few who actually earned money from Madoff’s historic Ponzi scheme, withdrawing billions of dollars more from Bernie than he gave. Not surprisingly, criminal investigators and the bankruptcy trustee suspected that Picower was one of Bernie Madoff’s main co-conspirators, despite the Picowers’ insistence that they—and the charities they funded—were actually among Bernie’s biggest victims. Picower had been trained as an accountant and lawyer and was an early investor with Ivan Boesky, the insider trader who was the real life role model for Gordon Gekko in the Wall Street movies. Picower worked as an accountant with the late Saul Alpern, the father of Bernie’s wife Ruth. Before Picower died, the suit filed by Picard’s team from the law firm Baker & Hostetler claimed that through a series of questionable and probably illegal transactions, Picower had gotten billions more than he invested. Filed in U.S. bankruptcy court in Manhattan, the civil complaint read like an invitation to prosecutors to figure out how it was that Picower alone managed to beat Bernie Madoff out of at least $7 billion while most other investors got stiffed. The settlement means that Madoff victims could recover more than 50 cents on the dollar. The civil complaint released Friday was officially filed against $7,206,157,157 on deposit at JPMorgan Chase. The court papers said that over the years, Picower had invested slightly less than $620 million with Madoff—yet he had taken out more than $7.8 billion through a variety of accounts, resulting in “profits” of $7.2 billion. Asked about Picower’s role in Madoff’s scheme and whether the settlement cleared Picower’s name, U.S. Attorney Bharara said, “Mr. Picower passed away a year ago and so the question of whether he had a role—as a criminal matter—is now moot.” Bharara refused to say more, but he did stress that Mr. Picower’s widow Barbara had done “the right thing” by agreeing to give back “every penny” of the $7.2 billion the Picowers made through Bernard L. Madoff Investment Securities. As protestations of innocence go, it was a pretty grand gesture by Barbara Picower, who spent decades as a star in New York philanthropic and social circles while her husband stayed out of the spotlight. It means the rest of his will, which he rewrote only 10 days before his death, can be carried out, including a minimum of $200 million bequeathed to his wife and daughter. Most of the remainder of his estate will be donated to a newly reformulated charitable trust. (The New York Times reported that other Picower accounts at Goldman Sachs and other banks may leave the estate with $3 billion or more after the settlement. Picower was close to Madoff for decades and like thousands of other investors, he was a “net winner”—a person who took out more than was invested in Madoff’s scheme as it went on for decades. According to Picard, those investors are not entitled to anything, despite the amount of assets they allegedly owned, according to the statements they received monthly from Bernard L. Madoff Investment Securities. The gap is huge, the trustee says, with investors believing they had accumulated nearly $65 billion, while actually investing (and losing) about $20 billion. Picard said Madoff investors who face “clawback suits” can file for hardship with his office and have the cases dropped. He also said there may be new hope that many other investors who lost their savings, such as those who got in through hedge funds, may eventually get some money back. Many Madoff victims, however, were unmoved by the big news. “This settlement is not helping the vast majority of Madoff investors,” said Ronnie Sue Ambrosino, a founder of the Madoff Victims Coalition, which boasts more than 400 members. “More than 85 percent of those who filed claims will not be able to receive any money that Picard collects from the $7.2 billion or any other monies,” she said. Another skeptic is Helen Davis Chaitman, a New York lawyer who has been in a constant legal battle with Picard about his interpretation of the obligations due to investors by the Securities Investors Protection Corporation (SIPC), the group he officially represents as the bankruptcy trustee. 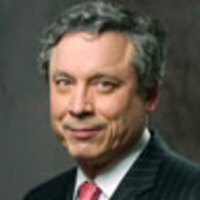 So far, at Picard’s request, U.S. Bankruptcy Judge Burton Lifland has blocked a proposed class action suit filed by Chaitman and two Florida lawyers against the Picower estate on behalf of all the spurned investors whose claims have been denied by Picard.“I filed a law suit on behalf of all the investors who are net winners. Picard does not represent them and that is $40 billion in claims,” Chaitman said. She also has represented about 15 investors who sold their claims to money recovered by Picard for anywhere from 20 cents to 35 cents on the dollar. Now, those claims could be worth more than 50 cents on the dollar.